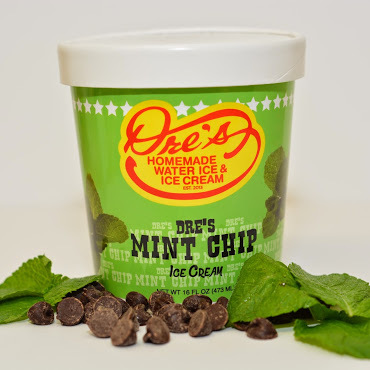 Dre’s Water Ice & Ice Cream has been in business since March 2013, starting with just a push cart and a dream. 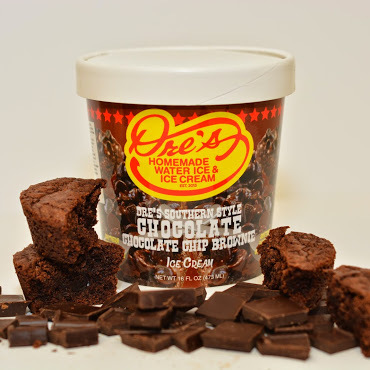 Now as of March 2015, his water ice is being sold in two Brown’s Family Shoprite locations, 52nd & Jefferson and Fox Street and his ice cream is in the freezer at all 11 stores!! With a major in Finance, Andre Andrews decided to leave his place of employment and expand his entrepreneurial goals of investing in his community, while on a mission trip with his church. When asked what made this decision an easy one for him, he said “besides the fact that I don’t take orders well from others and I enjoy being my own boss, I saw a void in the community with providing quality water ice and good service”. The water ice flavors include Cherry, Pineapple, Pina Colada, Mango and many more. For his pint size ice creams he uses old family recipes with a span of flavors, both traditional and non-traditional, to differentiate himself from his competitors. 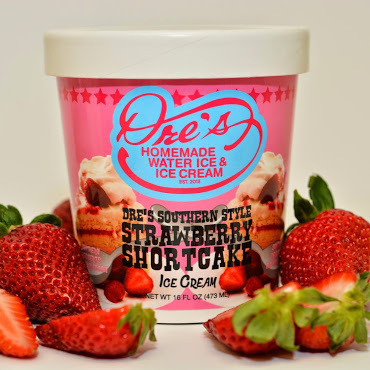 Some of which include Strawberry Shortcake, Banana Pudding, Sweet Potato Pie, made with Brown’s Southern Sweet Potato Pies, and he is working on a Peach Cobbler…yum. There will also be specialty flavors coming out later in the year for the holidays! 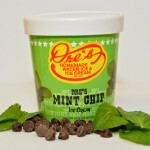 When will I be able to get your ice cream and water ice in my Shoprite in Newark , Delaware.? I just saw you on Good Day Philly and I can’t wait to taste your products and flavors. Wishing you tons of success. By the end of the year or early Fall. Where can i buy in new jersey???? When will your product be in shoprite stores on New Jersey. Such as Lawnside Shoprite. The sweet potato ice cream is delicious. You can actually taste the crust in the ice cream. Great ice cream! Everyone loves it. 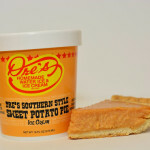 The sweet potatoe is good .Ii love it . Start making a larger container for your iced cream .Thanks . Your Ice Cream and Water Ice Is Amazing My sister and brother came to get your water ice on last week and it is thee BEST EVER!!! In ALL of my Water Ice Eating Days…. LOVE IT and you said that the Banana Water Ice wasn’t the formula you wanted… IT WAS AMAZING…..